The Green Organisation which was officially launched in 1994 in the United Kingdom continues its quest to celebrate all things green in business and commerce, and local and national government with the celebration of its annual awards ceremony for the Green Apple Awards which took place this year in London at the iconic Houses of Parliament. Eco car rental company, Green Motion (greenmotion.co.uk), picked up the award for Environmental Best Practice within the transport sector. The companies founder and CEO, Richard Lowden said, "We are genuinely overjoyed, not only to be nominated for the prestigious Green Apple Award, but to have won one. Myself and the Green Motion team work tirelessly in developing our company in order for our brand to provide a genuine option for private individuals (leisure customers) and companies to take the green option when hiring a car." 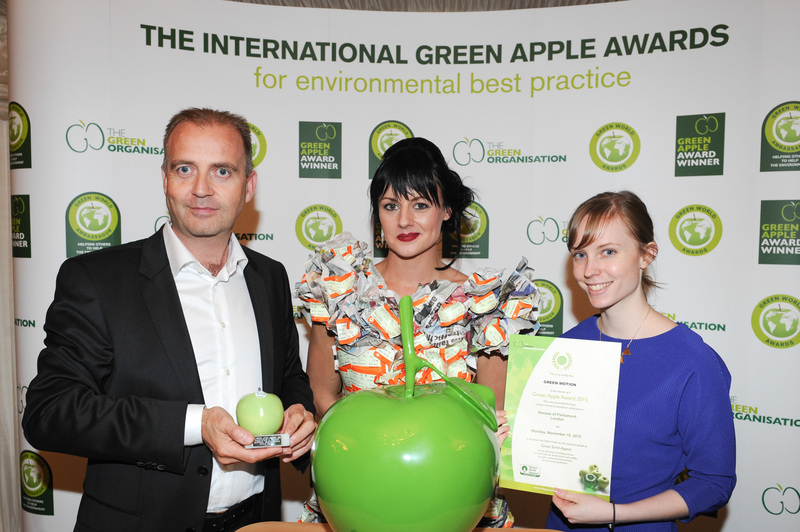 This recognition comes as a result of the environmental success of their lowering c02 emissions project, which has won an International Green Apple Environment Award. Green Motion which was established in 2007 has developed from 3 individual location operating in the United Kingdom to over 200 locations operating in 22 different countries around the world including Belgium, Bosnia and Herzegovina, Canada (Toronto), Costa Rica, Croatia, Cyprus, Finland, Greece, Iceland, Ireland, Italy, Jordan, Latvia, Lithuania, Malta, Mexico, Montenegro, Netherlands, Serbia, St Maartens, United States (Miami, Orlando) and the United Kingdom (London Heathrow, London Gatwick and London Stansted) with further locations opening worldwide in the very near future. Green Motion is the pioneer of best practice with the car rental industry sector, concentrating on the provision of vehicles which have the lowest CO2 vehicle omissions, coupled with an organisation which is dedicated to its own environmental strategy - meaning they truly deliver a green service from a green company. Green Motion is also the only international car rental company which operates its brand solely on a franchised car rental system model, meaning that each one of its country franchisees (and or US master state franchisees) is owned and operating by entrepreneurial business professionals. 2015 has been a great year for Green Motion with it not only expanding its international franchised network by over 10 countries but it also received many accolades for its work for the environment and for business including the Leaders in Business Award, GreenFleet's Rental Company of the Year Award, the Scoot Headline Award along with the Green Apple Award. For further information on hiring a car with Green Motion, please visit greenmotion.com or call 0333 888 4000. To find out about a car rental franchise, please visit Green Motion.